Tuesday, June 18, 8:00 a.m. – 5:30 p.m. Participants will ride by bus to Hagley Museum and Library and will spend a morning discovering highlights of the library’s collections of books, prints, ephemera, and more. The participants will then travel to the University of Delaware’s Morris Library in Newark, Delaware, for lunch (included), followed by a tour of the library’s Special Collections’ Books and Manuscripts, as well as the Mark Samuels Lasner Collection, the latter of which will be conducted by Mark Samuels Lasner. Transportation for this tour is generously sponsored by the University of Delaware Library, Museums and Press. Registration: Advance registration required. 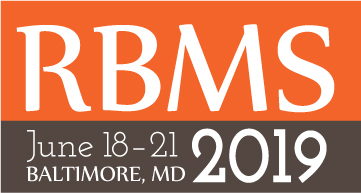 Select this tour on the RBMS 2019 registration form. Tuesday, June 18, 1:00 – 3:30 p.m.
Join us for a tour of the Baltimore Museum of Industry (BMI). Located in a 1860s oyster cannery on the waterfront, the BMI celebrates Maryland’s industrial legacy and the lives of workers who built those industries. Permanent displays highlight the history of food canning, garment production, a machine shop, a pharmacy, and a print shop with a working 1936 Linotype machine. This 90-minute tour will include six galleries and a stop at the museum’s window wall overlooking the harbor, with a discussion of Baltimore’s port industry. 1:30 p.m. – 3:00 p.m. Tour of the Baltimore Museum of Industry *The cost of the tour includes museum admission, so those wishing to stay longer may do so. Wednesday, June 19, 1:30 – 3:00 p.m. Experience the mysterious life and literary legacy of Edgar Allan Poe through the Enoch Pratt Free Library’s collections. You will have the opportunity to see one-of-a-kind artifacts from Poe’s life, including manuscript material, letters, and personal items from the library’s collections. You will get an up close look into Poe’s personal life and family, his writings, and some of what makes Poe an enduring and fascinating character, including original documents related to his mysterious, and still unsolved, death in Baltimore in 1849. 3:20 p.m. Return to hotel. Registration: First-come, first-served sign up. All registered conference attendees will be emailed instructions about how to sign up for free tours in May. Thursday, June 20, 10:30 a.m.– 12:30 p.m.
Join us at Margaret Brent Elementary/Middle School Library to help reshelve books, add barcodes and call numbers, and perform other activities in support of the Margaret Brent Elementary/Middle School Library. There is a maximum of ten volunteers for this opportunity. All registered conference attendees will be emailed instructions about how to sign up for free tours in May. For any questions, please contact Jordon Steele. Thursday, June 20, 1:30 – 3:00 p.m.
Take a tour of the Central Library of the Enoch Pratt Free Library, Maryland State Library Resource Center. We have just gone through a most exciting and momentous period in our history—a full-scale historic restoration and renovation. See the highlights of a building instrumental to the changing face of American library architecture in the early 20th century and see it restored to its former architectural beauty. The tour will cover the building’s history and impact on library design, how the renovation has brought back much of its original vision, and how the building is now blended with technology to look to the future. Thursday, June 20, 6:00 – 6:30 p.m.
Johns Hopkins University’s George Peabody Library is one of Baltimore’s crown jewels of research and learning. Opening in 1878 as a public library, the Peabody Library is known as Baltimore’s “Cathedral of Books” and is consistently ranked among the most beautiful libraries in the world. Join Johns Hopkins University Curator, Paul Espinosa for a behind-the-scenes look at the Peabody, right before the RBMS reception in the same space. 6:30 – 8:30 p.m. Stay for the reception sponsored by Johns Hopkins University, depart at your leisure. Anyone who shows a conference badge will receive $5 off of admission at the National Aquarium ticket office when they purchase tickets. Located in the heart of Baltimore’s Inner Harbor this aquarium features more than 20,000 animals in award-winning habitats.